Today let’s talk food. Here at Talk Fabulous we don’t do many food posts, because I’m a terrible cook. True story, but every-once-in-awhile I get a hit. 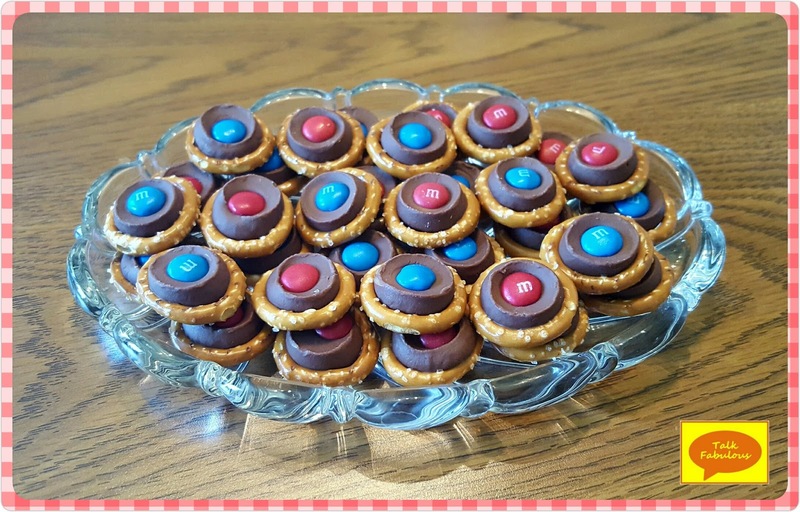 These Rolo Pretzel Bites are a hit indeed! They’re the perfect blend of sweet and salty and, of course, they’re super easy to make. You’ll need some round pretzels, Rolos, and M&Ms. The most time consuming part of this project is unwrapping all the Rolos. Enlist help, but only if your help can be trusted not to eat all the Rolos. I unwrap all the Rolos myself. Ha! Arrange the pretzels on a baking sheet in a single layer. 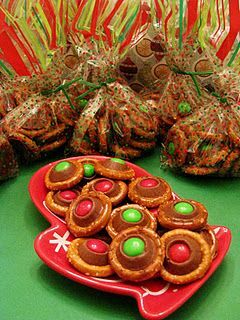 Place a Rolo inside each pretzel. Pro tip-it’s easier to fit the Rolo inside the pretzel ring if you put it in upside down. Put in the oven at 300 for just long enough to barely melt the Rolos, usually 3-5 minutes for me. Take the pan out of the oven and place an M&M on top of each Rolo. Place in the fridge to cool and that’s it. Now you have a fun and tasty 4th of July snack! What’s your go-to 4th of July snack?